Spa time isn’t just about taking a break; it’s an escape! Customers are looking for an escape from the stresses of daily life, and to slip into a cocoon of happiness. They want to be pampered and made to feel special. Even the smallest of interruptions will be remembered — and not with fondness. Sound tough? Customer experience is as difficult to manage as it is important. Don’t worry. We’ve got some simple yet effective things you can do to improve the customer experience at your spa by personalizing it with a human touch. Imagine your customer walks into the spa, gives their name and information, almost immediately walks into a treatment room, and walks out with a smile on their face Wouldn’t that be perfect? What if your customers didn’t have to spend the first part of every visit filling out forms? After all, no one likes to wait. Especially, when they had to make time in a busy schedule to fit in a spa appointment. Wouldn’t it be great if they could fill out the forms at their own convenience before arriving at the spa? Technology makes it possible for you to send out an online form with your confirmation emails or texts. Guest Intake, for example, a HIPAA compliant solution that integrates with most spa management softwares, allows you to have your forms and waivers filled in beforehand, and to maintain your records for compliance audits. It also syncs the information with the customer profile, so they only have to provide this information once, even if they come back to your spa. Let’s dive into this with a comparison, shall we? You are sitting in a well-lit room with chairs and a couch, with a few magazines to look at while you wait for your service to begin. You get to choose from water, green tea, or juice to drink. The seating is so comfortable you could sink into it, and the atmosphere so relaxing you could just close your eyes and listen to the calm surrounding you (but there are magazines to flip through if you want them). The lighting is soft, but not so low that you can’t see. A soothing aroma engulfs you. Someone walks in to ask if you’ll have your preferred chamomile tea as usual or if you felt like something else today. Which of these two situations would you prefer? This is what we mean when we say that there is good customer experience and great customer experience. The latter is what one might call “great.” And yes, you can deliver these standards even if you aren’t a luxury space with high ticket prices. All you need is the right spa software that will let you keep track of your customer preferences in addition to a space designed to feel welcoming and relaxing (even if it is not huge or luxurious). Taking care of the little things makes a huge difference. A “so glad to have you with us today” instead of a “welcome” can completely change the way your customer feels about their visit. You can make your customers feel like they are valued and special by choosing the right words. Sometimes this takes a little tweaking. Script it, try it, and pay attention to how your customers respond. Keep refining your script until you find what works best, and make sure your staff is trained to speak to guests in the way you decide they should be spoken to. If you’re looking for inspiration, visit five star spas and pay attention to the language they use and how they speak to their customers. Communication is an art, and perfecting one’s art takes practice. Imagine walking out of a sauna and not being able to find your way to the changing room. It doesn’t feel very relaxing, does it? Nobody likes to feel lost. That’s exactly how a new customer feels when they visit a spa for the first time. It is human nature to want to avoid being in uncomfortable and/or embarrassing situations. Always give your new customers a tour of the facility and help them adjust to the environment. Show them where the washrooms and change rooms are. Ask your repeat customers if they remember their way around and let them know they can reach out to any of the staff members if they need anything. You want your guests to feel at home, and everyone knows their way around their own home. 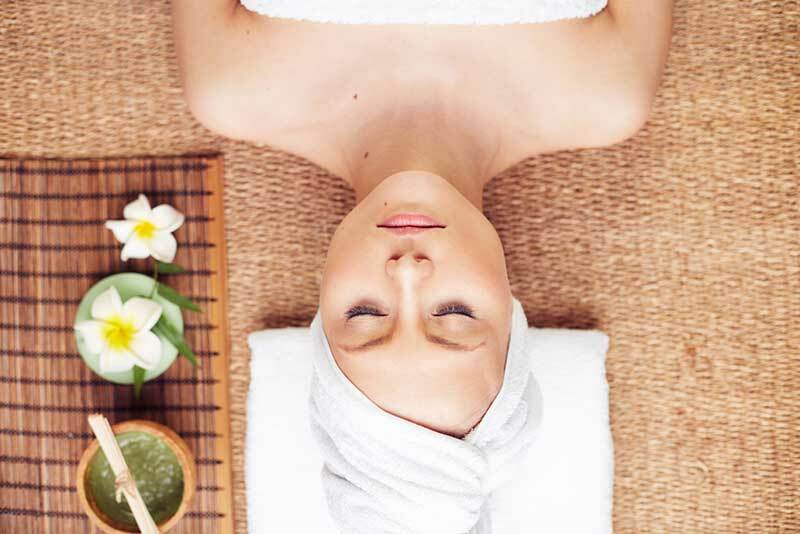 Retail sales are one of a spa’s biggest challenges. With e-commerce offering huge discounts and same-day deliveries, competition is fierce. But you have an advantage over the giants: you know your guests. One thing you can offer that an e-commerce giant can’t is personalized recommendations based on your direct relationships with your customers. Take advantage of that. Familiarize all of your employees with the features and benefits of all the products you stock. Your therapists might be making the recommendations and initiating the sale but it’s the front desk that closes it. So, your front desk should also know your products well. And if a recommended product is out of stock, make sure everyone knows what to recommend instead, so you don’t lose revenue in retail sales. Keeping notes is an important part of this process. Your spa software should allow you to keep detailed customer profiles and automatically sync any product purchases to their profile. These are all simple changes to implement. It just means taking the time to train your staff to engage with customers on a personal level with professionalism. You and your team can create lasting memories for your customers. That’s the first step towards improving your customer experience.